This beautiful ring has been handmade to Alan's design. 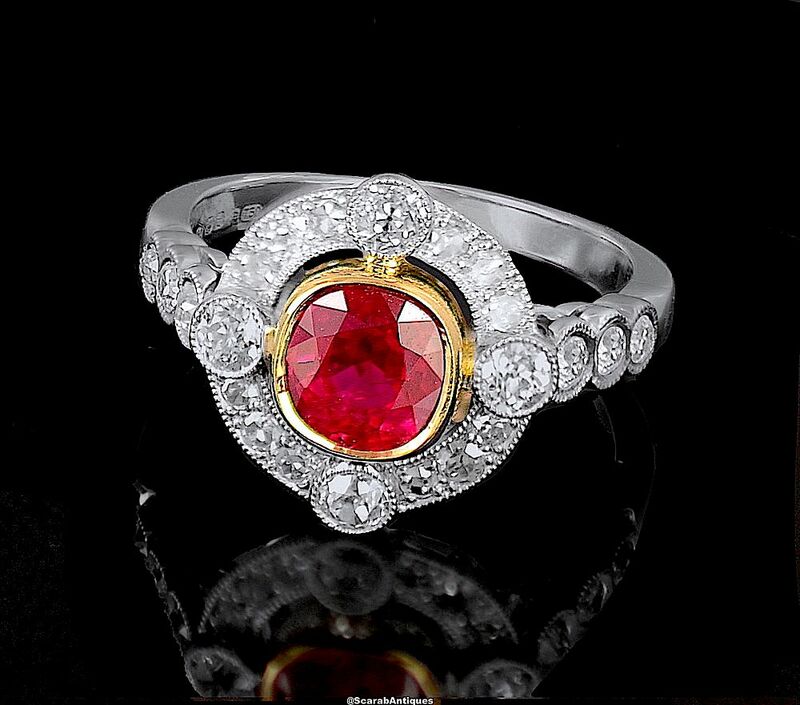 Made of platinum the design is Art Deco influenced and has a round ruby set in an 18ct yellow gold rubover setting framed by a mille-grained platinum diamond set surround within which are 4 round diamonds set in mille-grained rubover settings at 12, 3 6 & 9 o'clock with a total of 12 smaller round diamonds set between them. There are 3 round diamonds in mille-grained rubover settings set into each platinum shoulder above a platinum shank that has been hallmarked by the London Assay office for platinum & 18ct gold and 2018 and bears the sponsors' mark "A&SP" for Alan & Sue Poultney.